Some people like to have a bracelet or necklace planned every step of the way: this bead will go here, that shape will go there. That's the way most jewelry instructors teach. Everybody follows the same steps. Everybody uses the same beads. And everybody goes home with the exact same piece of jewelry. Why not try it another way? First of all, stop doing what everyone else does! 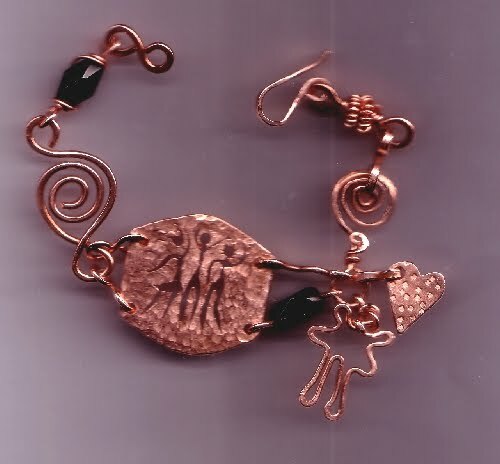 Build your bracelet using wire shapes and creativity. If you've created jewelry with wire before, either freehand or with a jig, you know how to make wire shapes. If you don't know how to make wire shapes, get some wire and practice. 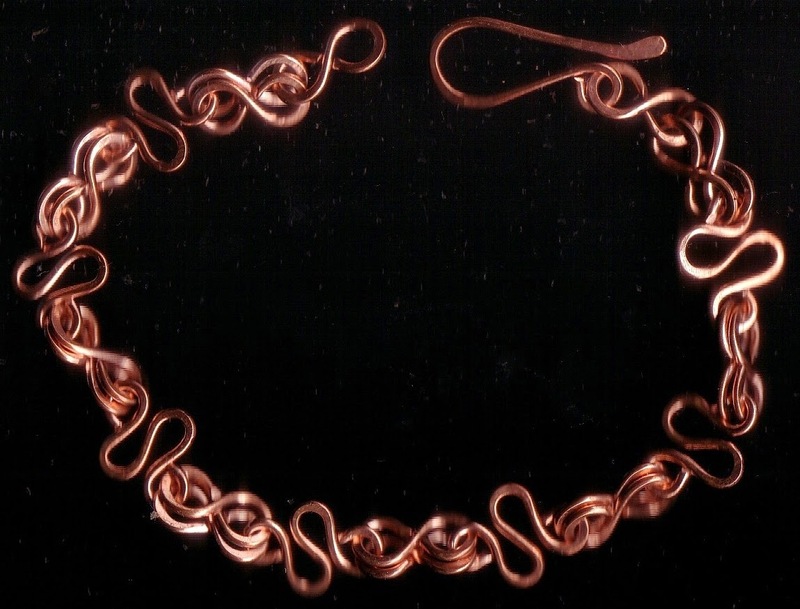 Once you figure out how to make a few simple wire shapes, you'll be on your way to building a fabulously bold bracelet. You can make your bracelet a delicate piece if you prefer. Simply use a smaller guage wire and create delicate shapes shapes. If you don't want to borrow tools, start out by purchasing basic tools inexpensively. 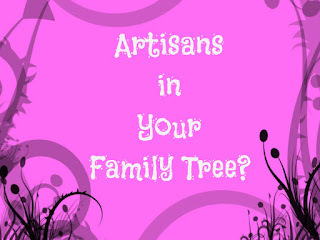 You can buy them from a local craft or bead shop or order them online. You can use beads to make your bracelet if you like, but you don't have to. All you really need is wire in several gauges. The smaller the gauge number, the bigger the wire. The bigger the wire, the bolder the look. When you mix and match wire gauges, the variety will give the bracelets you build a unique look. Work out of your own personal store of creativity, the thing that makes you who you are. Don't follow instructions from a book, except possibly a few tips on how to put things together. Decide what you want on your bracelet, your own idea or theme, not what someone tells you to want. Start with a single shape, a heart, for instance. As in the illustration, create a big fat Heart shaped wire piece or use a unique heart-shaped bead as your focal piece. You'll build your bracelet from there. Create shapes you already know how to make and add them to your focal piece to build your bracelet shape-by-shape, piece-by-piece. Connect shapes and pieces together using simple wire figure eights you make or jump rings you buy in a craft store. If you are one of those makers who simply must have symmetry, make all of your shapes the same. It's okay. Use the shapes you know how to make and experiment with new ones. Connect one shape to another until you have a bracelet that's the length you want. 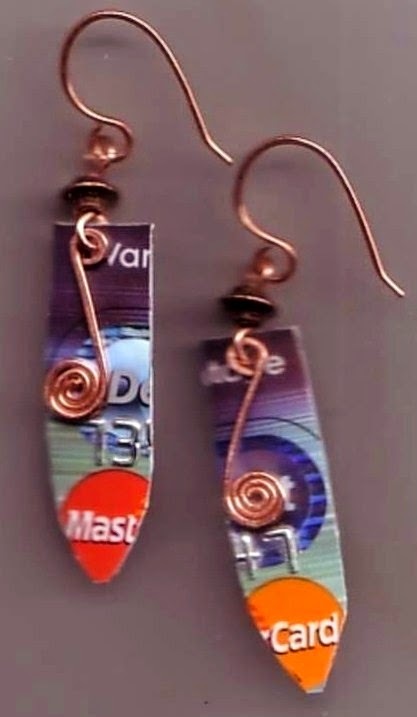 Flex your creative muscles by mixing and matching wire gauges and metals. Make Hearts and swirls, people and flowers, or whatever pushes your creative buttons. Add these little 'charms' to your bracelet to give it boldness, fullness, and dangle. The variety will make your jewelry interesting. If you must, and have some money to spend, buy a few charms at a bead shop or craft store. Dangle them from your bracelet along with all those shapes you created. Work on these techniques and create your own to build bracelets that are fabulous, artsy, and bold.